Let's admit it.Men will be men.Lazy & casual at home munching those popcorn in front of the TV with their old monk and whiskies;Sporty and active when outdoors.The contrast is vivid and colorful.While office is as formal as could be,we know how men are when they are not in office.And how can we forget the always confused "what to wear face on Friday - the official casual day at office"?The choices ain't much in the market.The formal shirts and trousers are racking up shelves or the tees and the jeans everywhere.Look at the men section in the high end brands,the men are devoid of being fashionable or devoid of thinking that they can be fashionable even in casuals. Thankfully,we have got some great news here.Super comfy chinos and shorts for men - who would rather play than watch others play.It's comfortable and stylish and in colors men haven't explored yet.Well to all my nice and dear male friends,sorry but folks look ahead of the usual grey,blue,black,white. The monochromes are a bore,happy colors are in! 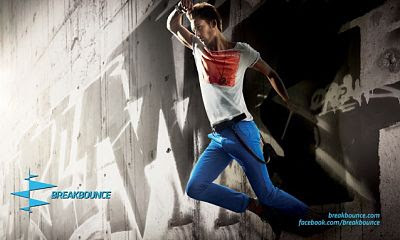 And with the first collection at Breakbounce "End of the world" I was surprised to see the variety of chinos and tees and shorts and I wished secretly "Why not for women?" The fabric was super smooth and the tees where donned with intelligent graphiti.
" Quite simply put, Breakbounce make casual street-wear. Gear that you can go out in, play in, attend some formal this or that in. Or just spend a Sunday with the boys. "Get up. Get out. Get on the move." This has become somewhat of a mantra for their brand. And it is with this very energy that they craft all their apparel. Inspired by Dutch craftsmanship and European street fashion nuances, Breakbounce has brought new, bolder styles and colours for the stlye conscious. They are so much more than clothes. They are raw. They are discovery. They are you." 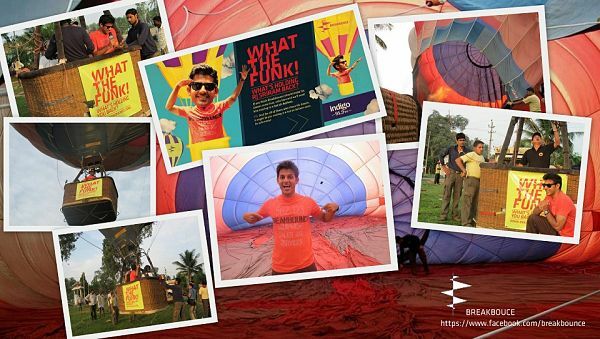 Breakbounce Streetwear organized a “Hot Air Balloon” contest in Bangalore. Spanning across radio, digital and social media, this initiative was in collaboration with Radio Indigo 91.9. 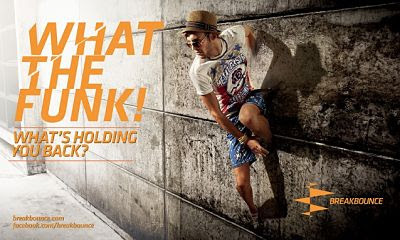 The Breakbounce Spring/Summer campaign which showcases the SS’13 range focuses on getting out, doing more, being more. What the funk is holding you back? That’s the summer tagline for the brand. Breakbounce decided to take away all the obstacles that are holding people back from doing what they dream. RJ Sriram of Radio Indigo has always dreamed of soaring on a hot air balloon. Breakbounce Streetwear decided to make this dream come true if enough of Sriram’s friends and fans support his dream. Breakbounce extended this contest to the voters as well. The free flight for RJ Sriram happened in the morning of 22nd May 2013. Breakbounce, RJ Sriram and the balloonist drove out from Bangalore city to a pre-identified launch site and elevated half an hour after sunrise. So dat's called a heady combo of casual clothing and adventure! nice read. like the pictures. Such an informative and really a knowledgeable blog,I must say.I really gathered a lot of knowledge.Good work.